Child endangerment, also known as “child abuse” is charged under California Penal Code 273a(a) and Penal Code 273a(b) making it unlawful to willfully places or permits a child to suffer, or inflicts unjustifiable physical pain or mental suffering or places the child in a situation where their health is endangered. In other words, you could be charged with this offense by active or passive conduct – i.e., child abuse by direct assault on the child or by endangering the child by extreme neglect. 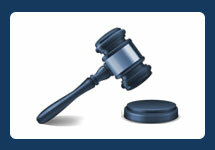 Depending on the circumstances, you could be charged with either a felony or misdemeanor. The critical issue is whether the child was placed in a situation or condition “likely to produce great bodily harm or death”. If the government alleges that scenario then you could be charged with a felony. However, if the situation or condition is not likely to produce great bodily injury or death, then you will face misdemeanor allegations. In either instance, the court will impose a protective order barring you from contacting the child and child protective services may take custody. You will not only find yourself battling criminal charges but additionally litigating to retain custody of the child. This charge is not only applicable to parents but also caretakers as well. The government normally charges you under this offense with respect to situations including driving while intoxicated with a minor child in the car, making a drug transaction or consuming drugs in the child’s presence or immediate vicinity, physically punishing your child, or getting in a physical altercation with a co-tenant subjecting the child to a dangerous situation. However, just because you’ve been arrested or charged with child abuse does not mean you’re legally guilty of this offense. The laws in regards to child abuse are imprecise leaving situations and evidence to be exaggerated or perhaps misconstrued against you. What Must the Government Prove for PC 273a? You inflicted pain or caused the child to be placed in a condition likely to produce great bodily injury (if applicable). It’s important to note that if you’re being accused of direct infliction of physical pain or mental suffering, then the above element of “criminal negligence” is not applicable. Great Bodily Harm or Death: The board definition of great bodily injury means significant physical injury beyond moderate or minor harm. Moreover, it is not only measured on individual injury or act but can be violated by your course of conduct. Examples of great bodily injury include broken bones, burns, or concussions. As noted however, a combination of acts such as bruising, cuts, contusions and whipping injuries may suffice to show GBI. However, if the child only suffered minor harm, then you’re not guilty under this statute – e.g., small moderate bruising. But note, this charge does not require you to actually inflict great bodily harm, only that you placed the child in a situation where great bodily harm is likely to occur. This is measured on the totality of the circumstances. Ordinary Negligence: In the absence of purposefulness, the government may allege then the quantum of negligence required is criminal. Penal Code 273a requires a person to act with criminal negligence when the way “he or she acts is so different from the way an ordinary careful person would act in the same situation that his or her act amounts to disregard for human life or indifference to the consequences of that act.” In other words, the application involved is the objective test and whether a reasonable person in your position would have been aware of the risk involved. Therefore, if the child was harm or was placed in a situation where injury may occur, then the government must show that you acted with gross, reckless, or culpable departure from the standard of due care. If your conduct does not rise to the level of criminal negligence, rather appropriately proven to be that of ordinary negligence, then it will not suffice to withstand the charge(s) against you. Willful: If you directly inflicted injury upon the minor, then the government must prove you acted willfully harboring general intent. The term willful is interpreted to describe conduct as being purposeful or with knowledge of consequences. The term does not mean that you intended to cause harm but only that you intended to do the act in which caused harm. Therefore, if you accidentally inflicted injury or injury occurred upon an occurrence of misfortune, then you lacked the required showing of willfulness and thus you’re not guilty of this crime. Reasonable Discipline: The law permits a parent the right to discipline a child and may impose reasonable punishment, including reasonable corporal punishment. This defense attacks the element of “unjustifiable physical or mental suffering” in the government’s case against you. The amount of corporal punishment allows the expansive consideration taking into account the size and age of the child and any other circumstance that may affect the reasonableness of the punishment. For instance, a parent may spank a child who has misbehaved without being liable under this statute. Therefore, your act of striking a child could be within your lawful scope of parental authority and serve as a viable defense in your case. False Accusations: The reasons for falsely accusing you of child endangerment can be substantial. There are a number of reasons for seeking to falsely accuse you of a crime against a child. For instance, your former spouse are in a custody battle in family law court and your spouse fabricates an event that leads to the involvement of child protective services. As a result, your spouse plays the upper hand in family court by convincing the judge that you’re a danger to the safety of the children. In the unfortunately instance you’re being false accused, an extensive investigation must be conducted. This shall include obtaining all correspondence between you and your accuser – i.e., text messages, facebook messages, emails, letters, and all court documents. It’s important to exposure all your accuser’s motivation to lie in an effort to discredit her accusations. What is the Punishment for Child Endangerment? PC 273a(a) is a wobbler offense which means the government can charge you with a felony or misdemeanor. This conviction is applicable when you inflicted or placed the child in a situation likely to cause great bodily injury. A misdemeanor conviction carries up to 1 year in the county jail as explained above. 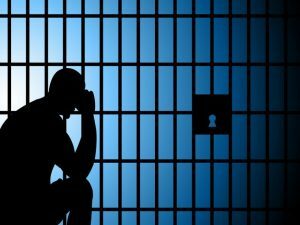 A felony conviction carries 2, 4, or 6 years in state prison. In the event the child suffers great bodily injury, the government will allege an enhancement under PC 12022.7 carrying up to 6 additional years in state prison. This enhancement is applicable to felonies and not misdemeanors. PC 273a(b) is a misdemeanor offense carrying up to 1 year in the county jail. This conviction is applicable when the child was not placed in a situation likely to cause great bodily injury. The court normally imposes a period of probation and requires you to complete counseling, community service, and impose a protective order against contacting the child. EXAMPLE 1: People v. Shockley (1978) 79 Cal.App.3d 669 deals with malnutrition and dehydration of a child holding that a defendant’s act of malnutrition on a child coupled with dehydration was an integral part of murder. In other words, depending on your actions, you could be charged with murder if your child dies as a result of malnutrition or dehydration. EXAMPLE 2: In People v. Rippberger (1991) 231 Cal.App.3d 1667, the appellate court upheld the conviction of two parents for felony child abuse on the basis of withholding medical attention and treatment from an infant who died of bacterial meningitis. During her illness, her parents only provided prayer treatment from a Christian Scientist. The government proffered treatment from two medical doctors who concluded the illness was treatable with antibiotics, and without treatment, the infant died as a result. The appellate court’s rational for upholding the conviction of the two parents under a criminal negligence theory is that the parents elected spiritual assistance in lieu of medical care during her fatal illness and continued to do so despite her steady deterioration in her physical condition who could have been treated by standard medical treatment. EXAMPLE 4: In People v. Burton (2006) 143 Cal.App.4th 447, the appellate court upheld a conviction for misdemeanor child endangerment after the defendant engaged in serious domestic violence against the child’s mother while aware that their child was at the scene. Even through the child did not see the attack and the defendant had no intention to directly inflict suffering on his child, the fact that the defendant engaged in serious domestic violence against the mother while aware the child was at the scene and later saw the mother’s injuries, was support to support the conviction. 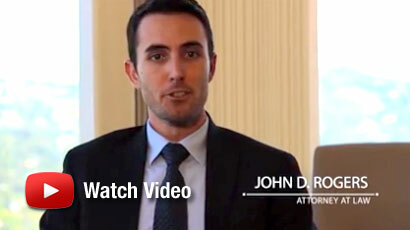 If you’ve been arrested, charged, or are under investigation for child abuse under PC 273a, then contact an experienced Orange County criminal defense attorney at the Law Offices of John D. Rogers for a free confidential consultation concerning your rights and defenses. California Penal Code 273a(a): Any person who, under circumstances or conditions likely to produce great bodily harm or death, willfully causes or permits any child to suffer, or inflicts thereon unjustifiable physical pain or mental suffering, or having the care or custody of any child, willfully causes or permits the person or health of that child to be injured, or willfully causes or permits that child to be placed in a situation where his or her person or health is endangered, shall be punished by imprisonment in a county jail not exceeding one year, or in the state prison for two, four, or six years. California Penal Code 273a(b): Any person who, under circumstances or conditions other than those likely to produce great bodily harm or death, willfully causes or permits any child to suffer, or inflicts thereon unjustifiable physical pain or mental suffering, or having the care or custody of any child, willfully causes or permits the person or health of that child to be injured, or willfully causes or permits that child to be placed in a situation where his or her person or health may be endangered, is guilty of a misdemeanor. See People v. Sargent (1999) 19 Cal.4th 1206. See People v. Vargas (1988) 204 Cal.App.3d 1455. However, this was disagreed by People v. Benway (1985) 164 Cal.App.3d 505. See In re Rocco M (1991) 1 Cal.App.4th 814.